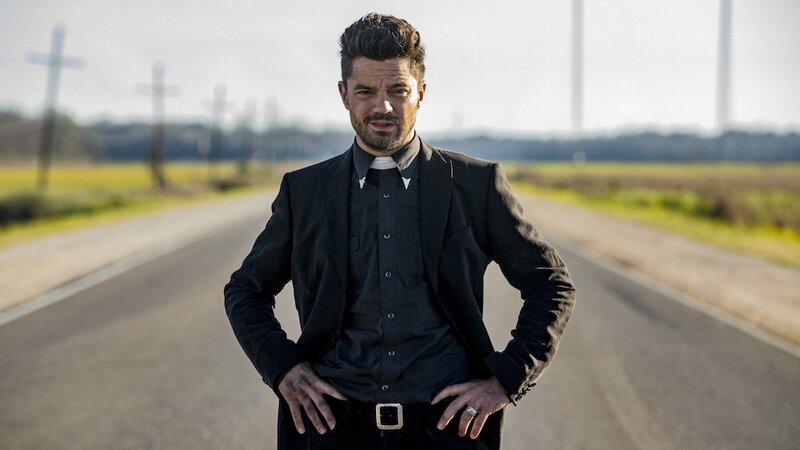 Preacher almost feels like a completely different show at the start of season 2. Its debut year meandered with inconsistent pacing and a lack of direction, but that’s not the case as we begin the second year. 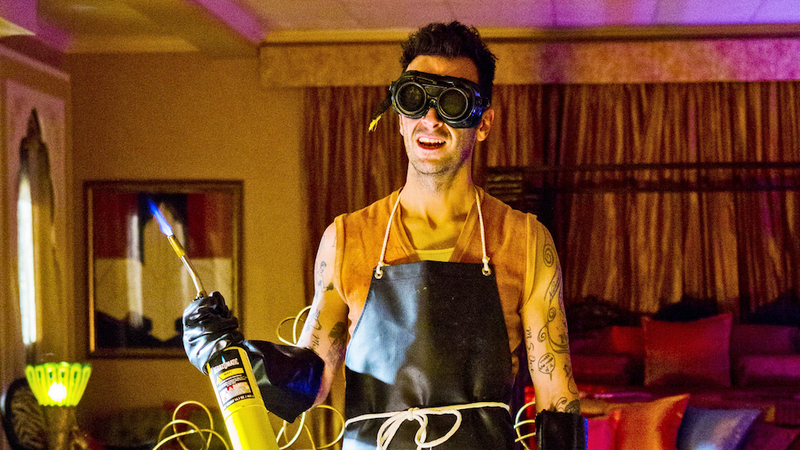 Preacher gains purpose and momentum during its premiere, throwing us headfirst into a road trip adventure that should’ve really began halfway through season 1. This transition is immediate, with fresh suspense and a renewed intent evident within the opening’s lively car chase. That sense of propulsion continues throughout most of these 13 episodes, although the second half is unfortunately very uneven. Initially, the show orients itself around a search for God. 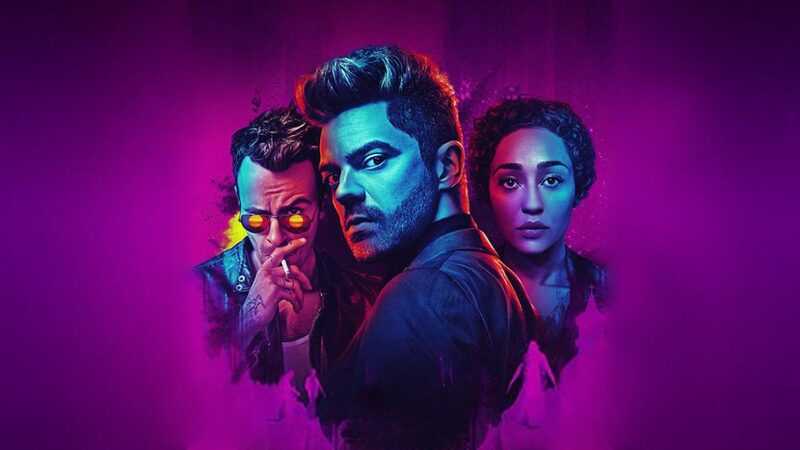 The revelation that the Almighty has left Heaven and come to earth was a big moment in the first season’s finale, and now Texas clergyman Jesse Custer (Dominic Cooper), his deadly ex-girlfriend Tulip O’Hare (Ruth Negga), and Irish vampire Cassidy (Joe Gilgun) hit the open road to find their maker. 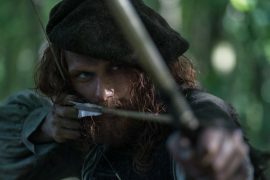 But it’s not going to be easy, as they’re relentlessly pursued by the Saint of Killers (Graham McTavish), a ruthless and virtually invincible force of destruction plucked from Hell with a mission to kill Jesse. The early episodes are the highlights of season 2 because they’re more exciting and fast-paced. Not only is the road trip format more evident, there’s more tension and more fun to be had. One of these hours takes a terrific detour to focus almost entirely on depraved angel Fiore (Tom Brooke), and it’s one of the strongest instalments. Sadly, once the show gets stuck into the overarching plot, with the weight of exposition, it quickly becomes bogged down. There’s an extended subplot following Eugene (Ian Colletti) and his own experience of Hell, where he met Adolf Hitler (Noah Taylor), but it rarely feels as compelling as it needed to. Our glimpse at the underworld seems to matter (although it’s apparently invented entirely for the show and doesn’t come from the graphic novel), but it also feels less urgent and interesting than most of the other storylines. The early episodes show how well the road trip approach could’ve worked week to week, so it’s a huge shame so much of season 2 is spent solely in New Orleans, once the characters realise God has a passion for jazz music and is perhaps living in the Big Easy. Unfortunately, it’s not even that Preacher ends up stuck in New Orleans that’s a downside, it’s that most of the time seems to be spent in one apartment. The show’s budget surely isn’t so limited that they couldn’t afford a few extra shots outside? Once in the city, the storytelling also becomes much shakier. The series still has moments of excellence, but there are fewer hours that are unreservedly rewarding the longer the season goes on. In New Orleans, our heroes collide with people from Tulip and Cassidy’s past, along with secret organisation The Grail. At the head of that group is a major villain in Herr Starr (Pip Torrens), who leads this religious organisation as they strive to maintain the Holy bloodline of Jesus Christ, with his goals bringing Jesse onto his radar in a big way. The introduction of Starr and The Grail is one of the stronger elements of season 2. Torrens plays his part terrifically well, with a fantastic comic-book-style edge and outrageousness. He’s established as a ruthless villain to be reckoned with, too. Jesse probably doesn’t realise quite how dangerous Starr is yet, and that’s sure to play a role in future seasons. The Grail also provides a way to broaden this world’s rich mythology, and it’s great to see so many weird and offbeat ideas concerning the sale of human souls, the Messiah’s bloodline, and the twisted secrets of Hell. 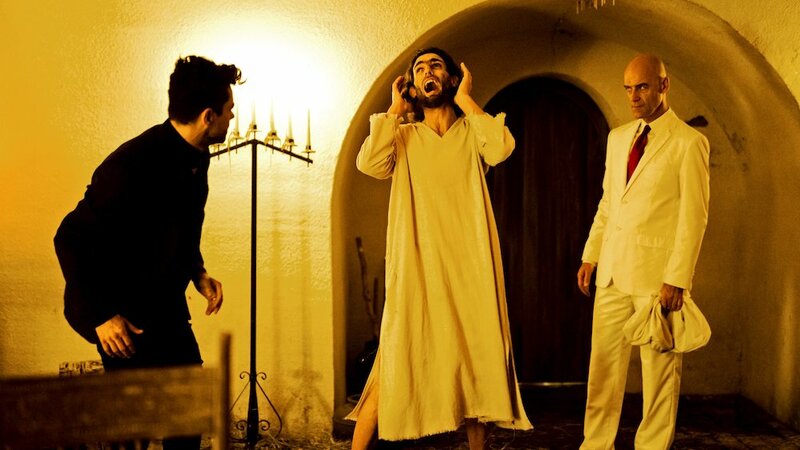 Preacher finds ways to limit the use of Jesse’s power, having been possessed by a demon-angel known as “Genesis”, which he can use to command others to do his bidding. The clever revelation that every time he uses it the Saint of Killers is able to track his location puts a stop to it being a very convenient way out of every situation. It’s a shame that this doesn’t last, however, and that the Saint becomes a less deadly foe over time. The sixth episode, “Sokosha” is great, though, as it sees Jesse truly challenged to defeat the predatory Saint, while Cassidy and Tulip’s lives are put at risk by him, showing off some inventive storytelling and action beats on the way. 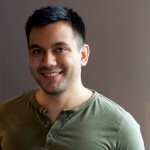 Themes of trust dominated season 2, whether through Tulip’s secrets, Jesse’s struggle to hold onto the trust of his friends, or Cassidy’s lack of trust in himself. 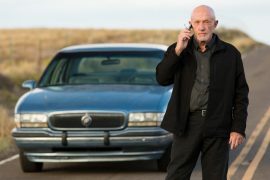 As the season unfolds, their relationship continues to break down in surprising ways, and we see that while Jesse might be committed to his search for God he hasn’t sufficiently convinced his friends it’s truly important. He puts their safety at risk, often never explaining his actions, so it’s not shocking to see arguments and disagreements frequently erupt during their scenes. 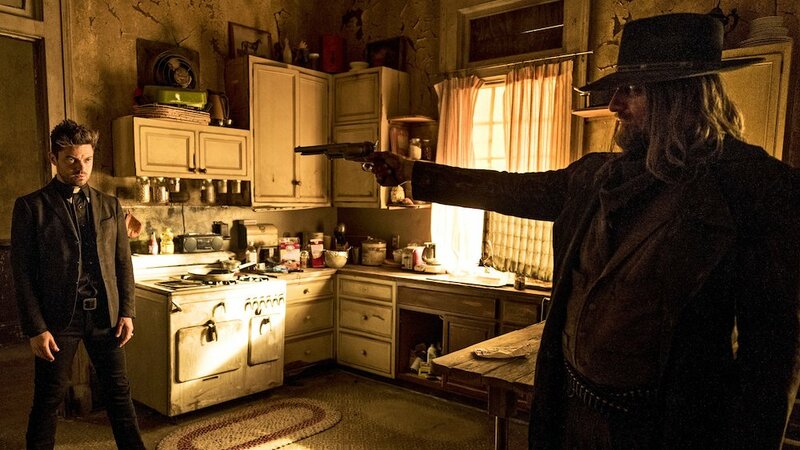 Preacher’s shortcomings almost always can be summed up by a lack of consistency. This was also true of the first season. When the show lets loose it can be a great adventure filled with irreverent humour, unexpected twists, and gruesome violence… but the promise by the end of season 1 of a road trip to find God is only half delivered. This made it a frustrating show to watch, as there was a lot of slow plotting, tonal inconsistencies, and questionable decisions from the characters. 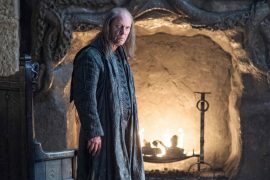 The finale brought the less satisfying second half to a relatively compelling conclusion, by throwing in unexpected cliffhangers and big issues for the characters to deal with. Jesse, Tulip and Cassidy’s friendship is now damaged, and Jesse ends the season struggling to use Genesis as proficiently as he once did. This’ll be a major obstacle for him to overcome, as it’s a big part of why he’s looking for God and why The Grail is so interested in him. The end of the finale left Tulip’s fate uncertain, but the drama was somewhat undermined by a flashback in the prologue that gave away the likely resolution. Overall, this has been an improved season for Preacher, but the writers haven’t solved all of its issues just yet. It upped the ante and gained a better sense of direction and purpose, but the strong start was allowed to dim. Preacher is at its best when it’s being unpredictable and fast-paced, and that wasn’t always the case this year. Let’s hope the show can recover to become more consistent, as it still holds a potential the writers only occasionally tap into. writers: Sam Catlin, Sara Goodman, Craig Rosenberg, Philip Buiser, Mary Laws, Olivia Dufault & Mark Stegemann. directors: Seth Rogen, Evan Goldberg, Michael Slovis, Michael Morris, David Evans, Wayne Yip, Maja Vrvilo, Michael Dowse, Steph Green & Norberto Barba. starring: Dominic Cooper, Joseph Gilgun, Ruth Negga, Ian Colletti, Graham McTavish, Pip Torrens, Noah Taylor & Julie Ann Emery.